On June 26th in the year 2000, something exciting happened in our small rural town of Clatskanie, Oregon. On this bright, sunny summer day four children gathered together in the cool darkness of the local library. Hunched over two small game boards, the only sound they made were the occasional muffled groans of agony followed by peels of laughter and then whispered comments like, "Mua ha ha ha ha! I've got your queen!" It seemed like just an ordinary day. But it wasn't. 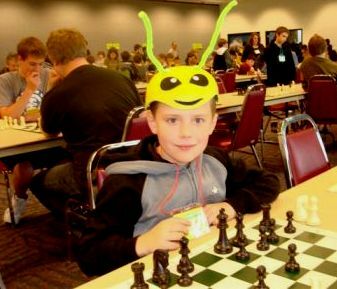 This was the day the Clatskanie Chess Club was born. What started out as a way to keep a 9-year-old boy and his friends busy over the summer, has turned into a year round passion for our community. 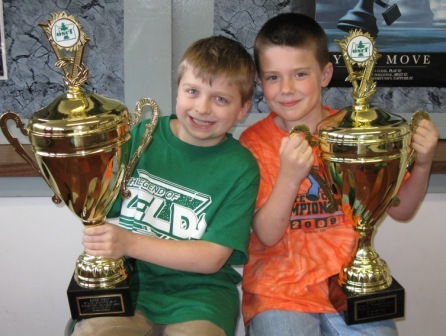 Our award-winning club now boasts over 700 chess players from grades K-12 (that's 75% of the students in Clatskanie)! Each week, local children gather together to exercise their brains. Of course, they don't think of it that way. The don't realize, or even care about the studies which have shown that playing chess improves their math, logical thinking and problem solving skills. They just think they're having fun! Whether you are new to the game of chess or have been playing for years we'd love to have you join our group of chess enthusiasts. Membership in our club is free, as are many of our events. If you would like to help support our efforts, click here to find out more!